There has been much discussion over whether to use a debit card or credit card, and which situations are best for each type of card. Because many bank cards these days can be processed as either debit or credit transactions, we will focus on the contrast between debit and credit, generally speaking. Your bank and credit card lender will be able to provide you with specific, detailed information about your cards and where they should be used. Banks often make credit cards seem attractive by advertising perks and points, and they can also make debit cards seem less attractive by imposing monthly account maintenance fees. Disregarding the pro’s and con’s of different types of accounts at your bank, there are some general rules of thumb that will apply to nearly every case. Credit cards have the most robust anti fraud protection, generally speaking. One advantage credit cards hold over debit cards is that, if you’re a victim of fraud, your credit cards don’t take money directly out of your checking account. 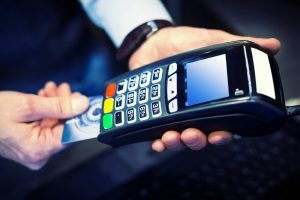 A debit card, however, is directly connected to your funds. So, if you find yourself in a situation where your information is stolen, that debit card could be a big inconvenience. Because most banks offer fraud protection, it’s not difficult to recover your losses from a stolen debit card, but it doesn’t provide relief in the shorter term. When you’ve got bills to pay and responsibilities, you need your money to be there for you when you need it. Credit cards provide an added layer of protection against lost cash flow in the event of fraud. When you make a debit transaction, your bank can put a hold on your account for more funds than the initial charge. For instance, if you spend $50 at a restaurant, your bank could hold more than the initial amount to account for the fluctuation in your total based on the tip you leave the server. Debit holds can also occur for other reasons, such as making a large purchase or changing spending behavior, which can create red flags that the bank sees as a reason to put a hold on your card. Usually, this is easily resolved through a quick phone call to your bank’s customer service department. If you’re with a small bank or credit union and the hold gets placed by the system automatically outside business hours, you could be waiting until the next business day to get your account active. Hopefully this doesn’t happen over a long holiday weekend! If you’re shopping online, traveling for vacation or work, or if you’re making a large purchase, using a credit card offers more affordances than debit cards. For all these situations, credit cards offer you a layer of protection that is usually less robust with debit. As we mentioned earlier, if you fall prey to fraud, a credit card is an added layer of separation between your bank account and the person who stole your information. If you’re switching to foreign currency, your debit card is better than changing money using your credit card. Credit cards will get dinged with a higher exchange rate as well as the cost of a cash advance which is normally subject to a higher interest rate than a normal transaction. While less convenient than credit card fraud protection, you still get fraud protection with most debit cards, and you don’t have the added risk of accruing debt. If using a credit card is too tempting, stick with the debit card. Always be careful with your information online and in person.